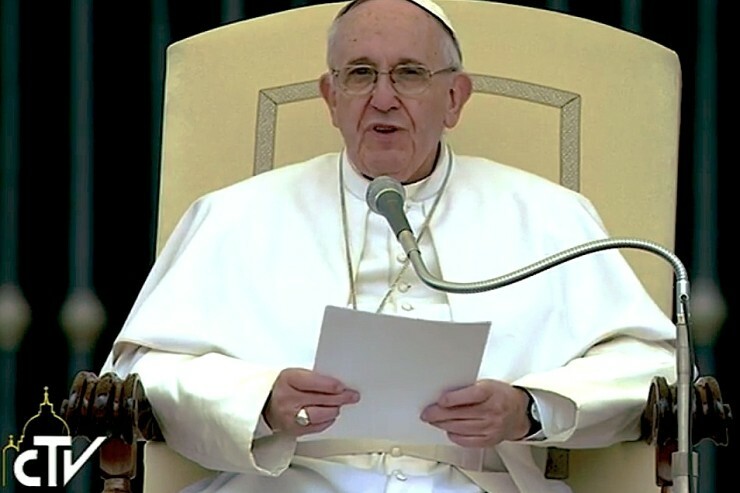 “Dear brothers and sisters, may your pilgrimage for the Holy Year express the significance of communion with the universal Church and render you witnesses of mercy in your local churches,” added the Holy Father. A special thought went to the Archbishop of Potenza and to a group of laid off workers of Basilicata. The Pontiff hoped “that the grave circumstance of unemployment can find a positive solution through an incisive commitment on the part of all to open ways of hope. The percentage of unemployment cannot go up!” he added off-the-cuff. A greeting went also to the participants in the General Chapter of the Tertiary Capuchin Sisters of the Holy Family; the Elderly Association with the cyclists of the Generals Group; the participants in the “Italian Wonder Ways” initiative with the Bishop Paolo Giulietti; and the faithful of Pieve di Soligo, who came to Rome to observe today’s anniversary of John Paul I’s death.